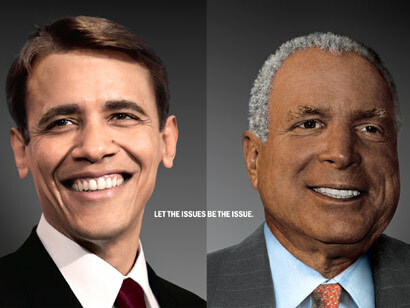 This well done picture of a white Obama and a black McCain is intended to challenge race as an issue in the US election. This picture is created by a global ad agency, Grey New York. “This is a non-partisan image. We wanted to address the race issue straight on. “And it cuts both ways. If you’re hopping on either candidate’s bandwagon solely due to the colour of their skin, you’re voting for the wrong reasons,” said Tor Myhren, chief creative officer of global ad agency Grey New York.